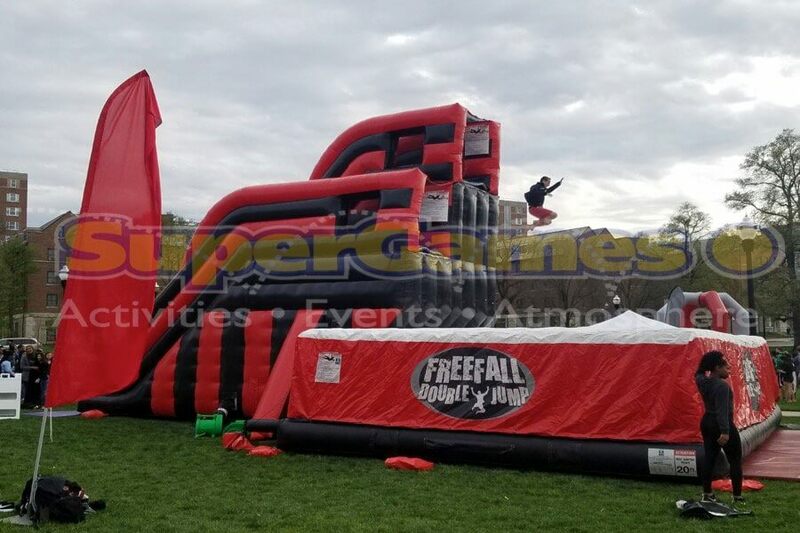 The Double Jump FreeFall Inflatable WILL take your breathe away! 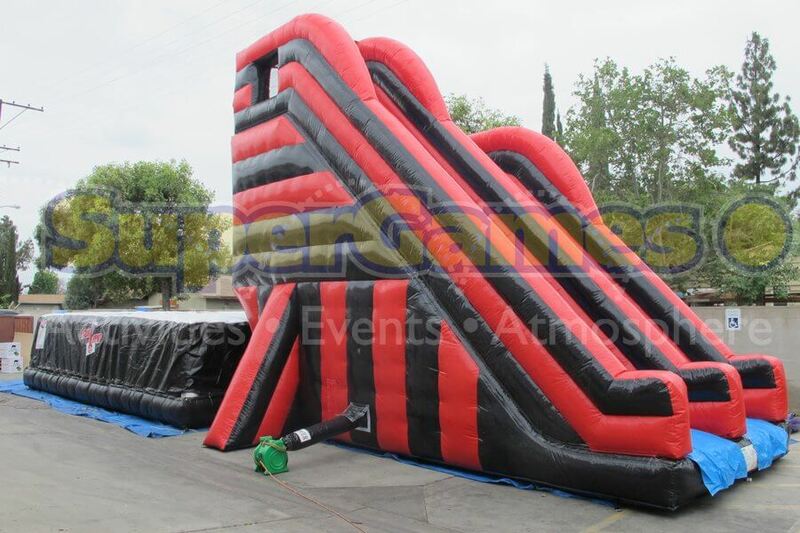 On the Freefall Inflatable, participants can choose from two platforms heights, 12′ and 18′, from which to Freefall. 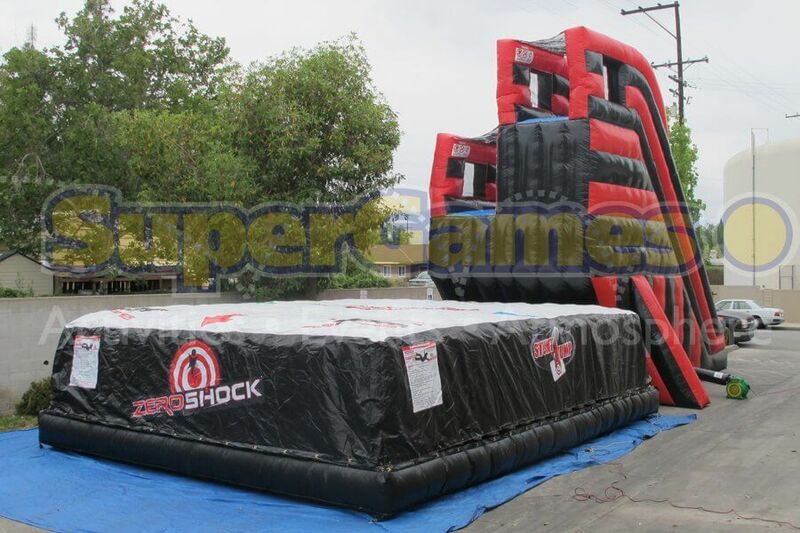 The inflatable crash pad is designed by leading stunt professionals. Everyone who jumps from the Freefall Inflatable will experience what those stunt professionals get to do on a daily basis. 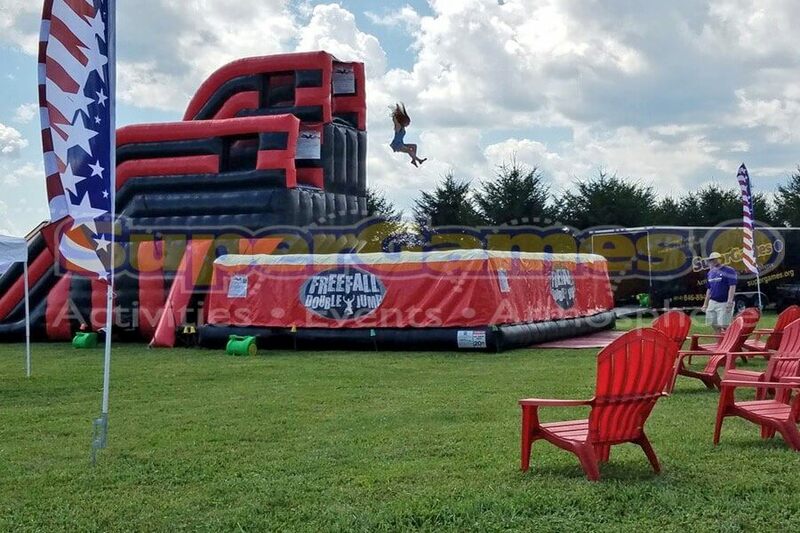 The Freefall Inflatable is not for the faint of heart and may leave you wondering whether to jump or not. 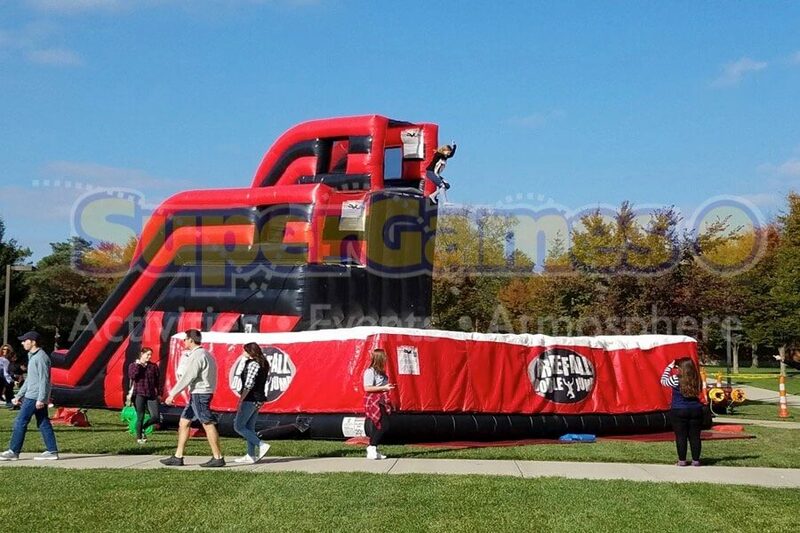 Either way, you will always remember your experience on the Double Jump Freefall Inflatable. Be sure to check out some of our other new attractions as well: Toxic Drop, Big Red Balls, Photo Studio, Disco Bounce, and Juggernaut.